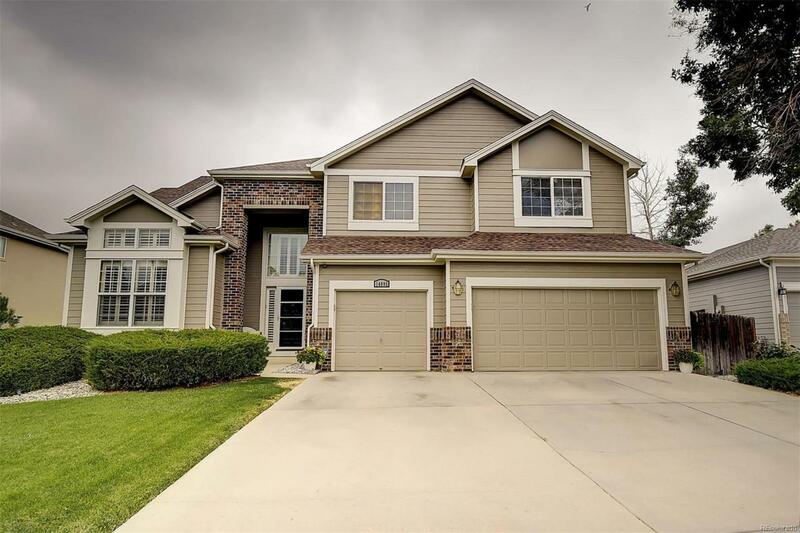 Stunning well-kept two story home in highly-desired Cherry Creek Villas subdivision. Less than a block walk right into a semi-private paved access to Cherry Creek State Park! Beautiful large wood backyard deck with hot tub and fire pit! Inside is pristine with extensive main floor hardwood floors. Wonderful Mountain, City, and water views! Soaring two story windows and ceilings in the family room and living room. Quite private backyard. Nearly all systems of the home have been updated recently.